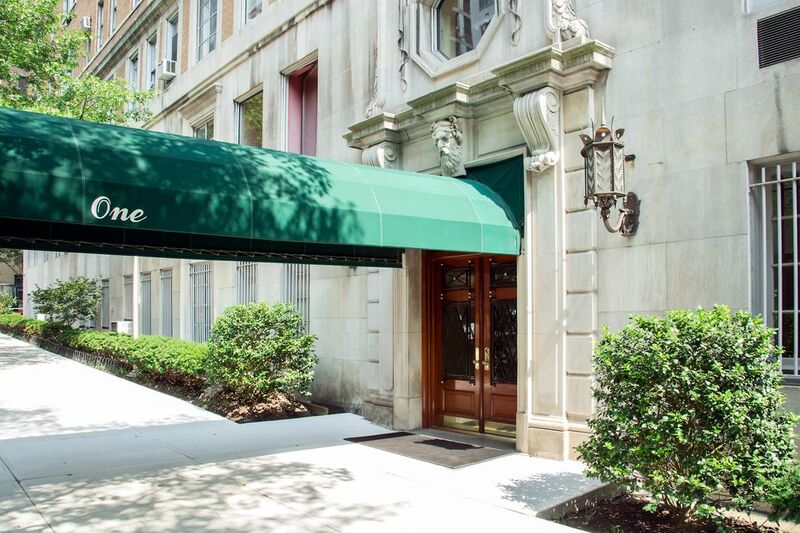 1 East End Avenue Apt 6/7B, New York, NY 10075 | Sotheby's International Realty, Inc. 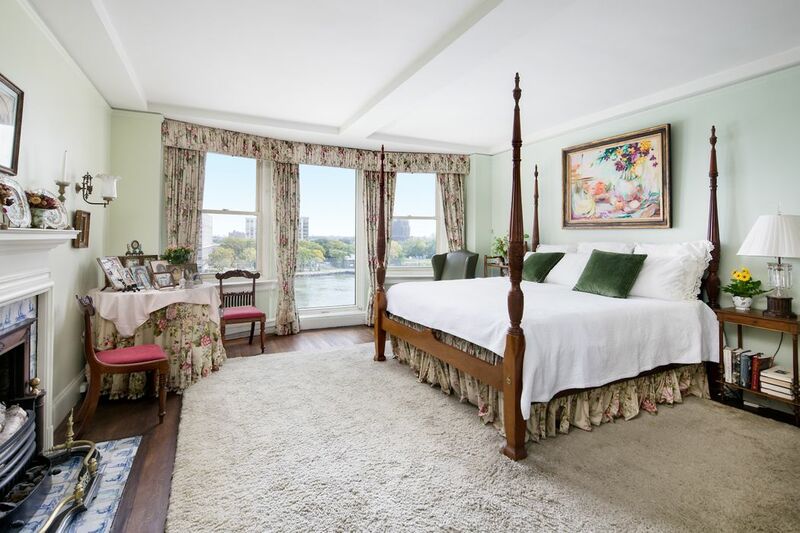 Located in one of Manhattan’s most prestigious cooperatives, One East End Avenue, this 11-into-nine room Pre-War duplex is flooded with light and offers majestic views of the East River with beautiful hardwood herringbone floors throughout. On the first level, the public rooms are located off of the entrance gallery with an elegantly curved staircase creating an ideal layout for grand entertaining. 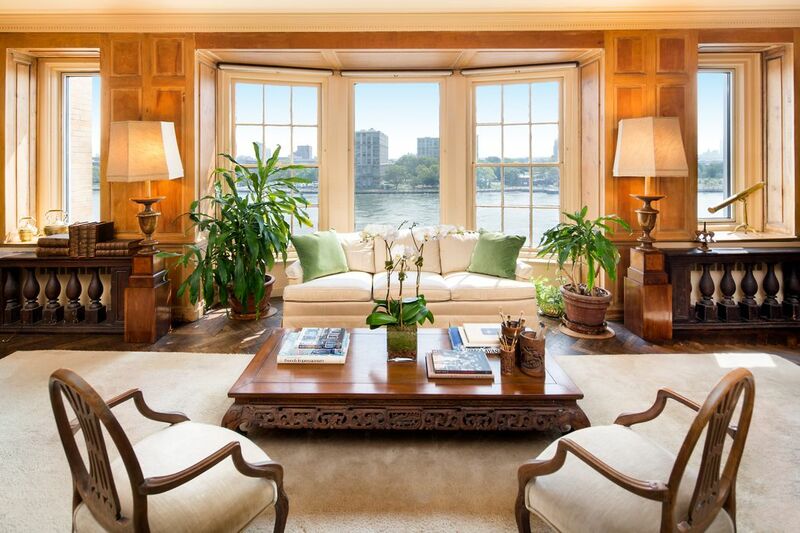 The 28-foot, wood paneled living room allows for multiple seating areas with tall ceilings, a wood burning fireplace, and five eastern facing windows including beautiful floor-to-ceiling bow windows reminiscent of the great luxury ocean liners. Adjacent to the living room is a wonderful library with two French doors opening onto a wrought-iron Juliet balcony. 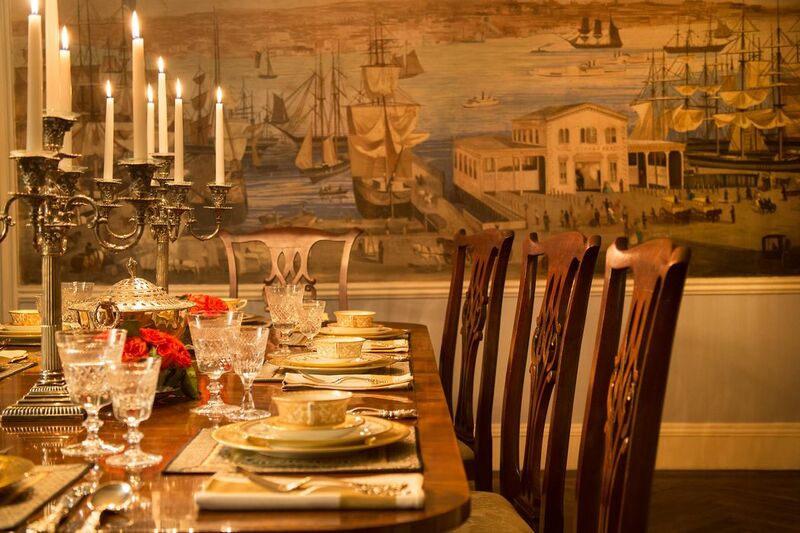 The elegant formal dining room features a panorama of Zuber-inspired panels depicting early 19th century New York City. The panels include Gracie Mansion and the Wall Street Ferry Terminal, which early residents of One East End Avenue commuted to from their own yacht landing just off the buildings original lobby entrance. 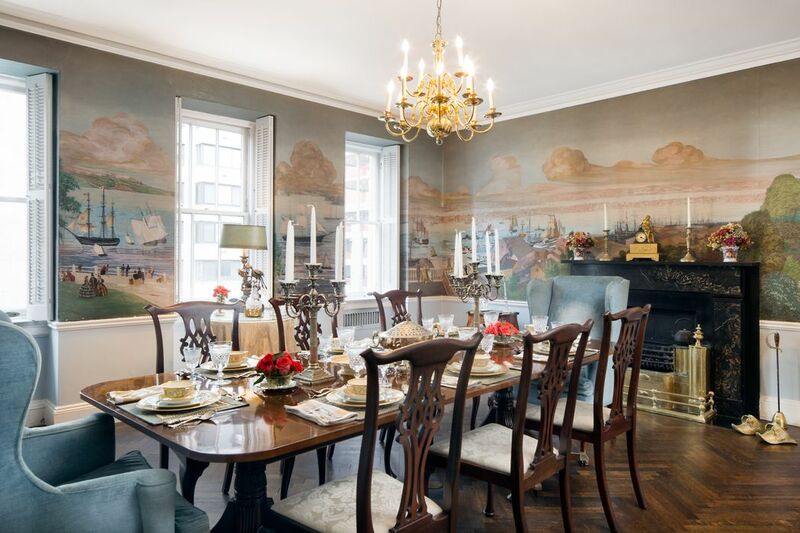 This room also boasts an original, intricately carved marble mantle with brass hob grate. The enormous eat-in kitchen, located off of the dining room, has a laundry area as well as a service stairwell which offers additional privacy and convenience for residents and staff alike. The second level has a spacious master bedroom with a dressing room, walk in closet, en-suite bathroom and a fireplace surrounded by imported blue and white antique delft tiles. 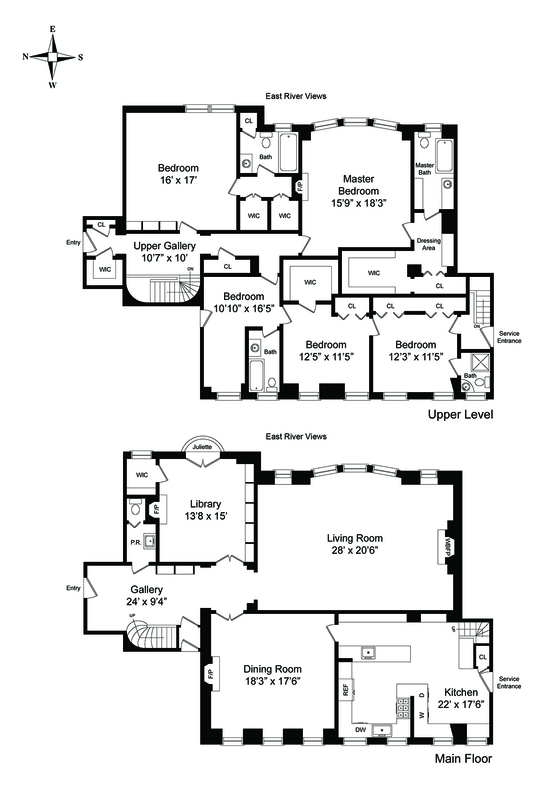 This floor of the duplex also includes four additional bedrooms and three full baths with access to the elevator off of the upper gallery. 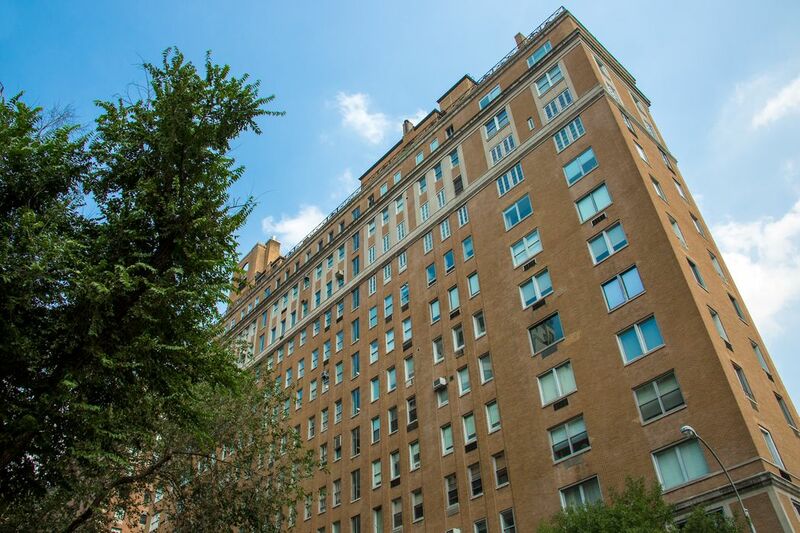 Built in 1929, One East End Avenue is one of the premier, full-service white glove buildings in Manhattan. The building is pet friendly and private storage is included. 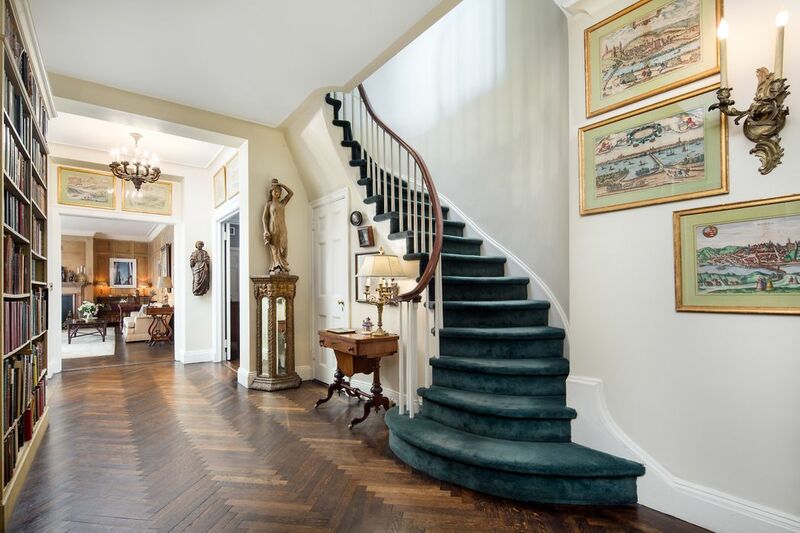 Located in one of Manhattan’s most prestigious cooperatives, One East End Avenue, this 11-into-nine room Pre-War duplex is flooded with light and offers majestic views of the East River with beautiful hardwood herringbone floors throughout. On the first level, the public rooms are located off of the entrance gallery with an elegantly curved staircase creating an ideal layout for grand entertaining. 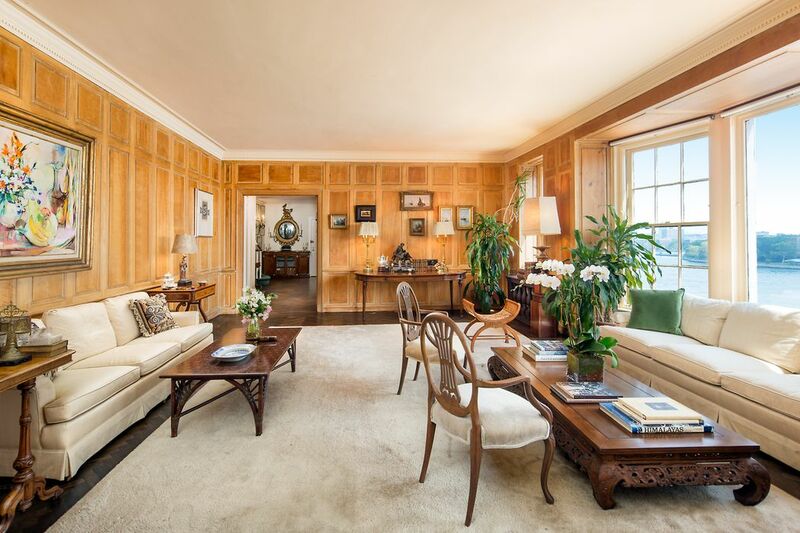 The 28-foot, wood paneled living room allows for multiple seating areas with tall ceilings, a wood burning fireplace, and five eastern facing windows including beautiful floor-to-ceiling bow windows reminiscent of the great luxury ocean liners. 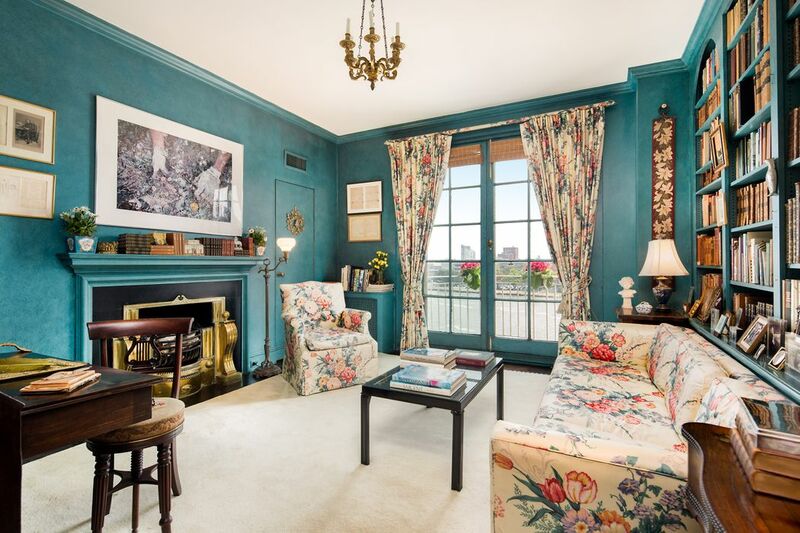 Adjacent to the living room is a wonderful library with two French doors opening onto a wrought-iron Juliet balcony. 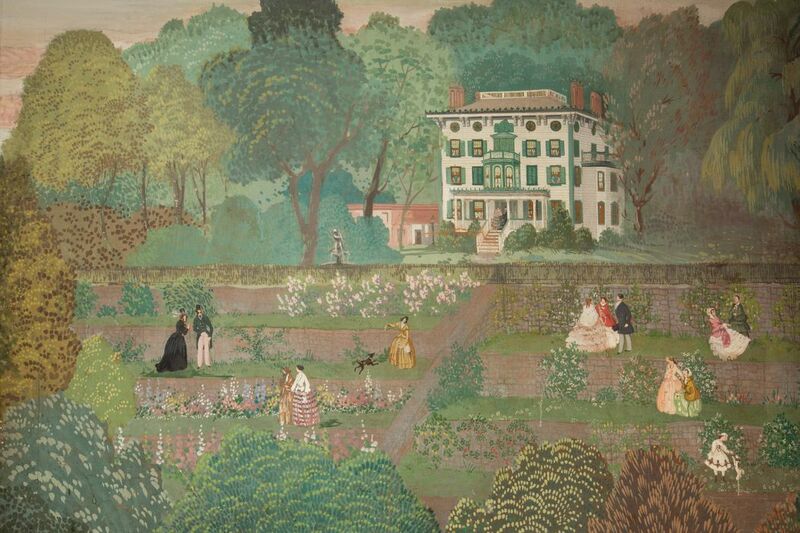 The elegant formal dining room features a panorama of Zuber-inspired panels depicting early 19th century New York City. 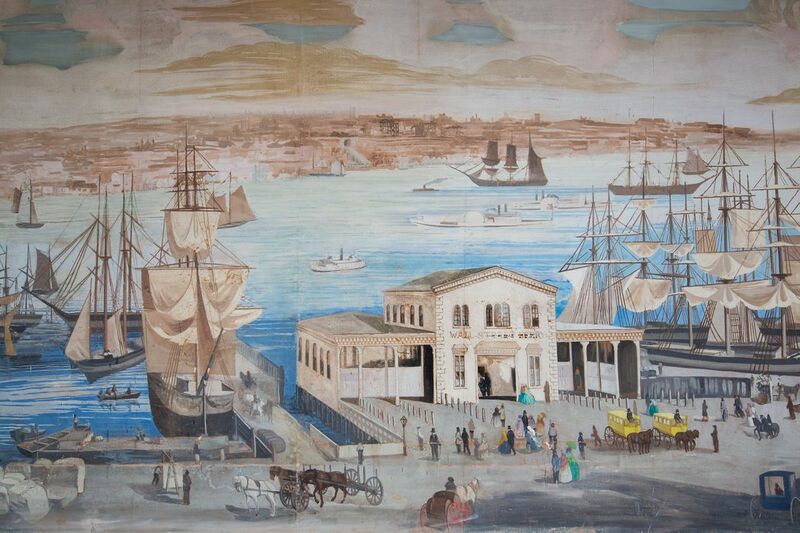 The panels include Gracie Mansion and the Wall Street Ferry Terminal, which early residents of One East End Avenue commuted to from their own yacht landing just off the buildings original lobby entrance. 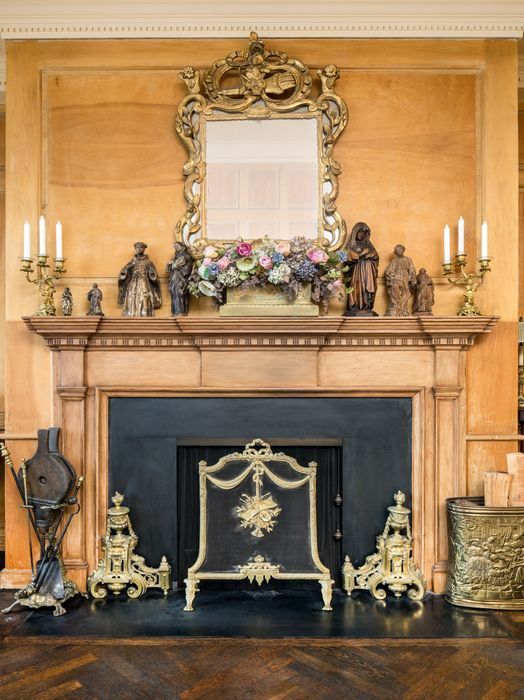 This room also boasts an original, intricately carved marble mantle with brass hob grate.